In this week’s issue of Mishpacha Magazine, psychotherapist Rabbi David Hochberg wrote something that hit very close to home for me, and I’m sure for a lot of readers. He explained that as parents, seeing our kids struggle terrifies us. 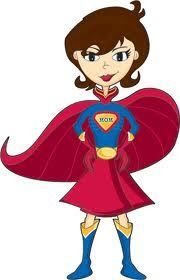 The moment something is difficult for our children, too often our immediate reaction is to fly onto the scene with our Supermom capes on and swords waving in order to solve the problem for them. This is the parenting equivalent of helping a butterfly out of it’s cocoon, and thereby crippling it for life. The better, more educational approach, he explains, is to provide our children with the guidance they need in order to independently cope with and overcome the inevitable struggles and nisyonot that life sends and will continue to send their way throughout their lives. …Are we comfortable with the process of struggling? I’ve noticed something interesting. Many people are afraid to expore their children’s struggles, much less their own. Instead, as soon as they become aware that their children are having a difficult time, they quickly focus on the solutions rather than on the struggle. It is almost as though it’s taboo to admit that we can have powerful struggles. And it is even more taboo for the children to know that their parents may be struggling with the exact same nisayon. May Hashem help you raise your children with the siyata d’Shmaya and strength to overcome any struggles they encounter, and may each successive victory propel them even further in their lives. Love this post! The struggle is what frees us. Like the little butterfly fighting to get out of the cocoon–help him and you will hurt him. thanks theresa, I loved your metaphor so much I inserted it into the article! I have a child with a bed-wetting issue, and I spoke to him about my childhood struggle with slight hearing impairment, which also caused me stress for not wanting to be “found out”. I, too, didn’t enjoy sleepovers (in my case because I could never catch the post-lights-out whispers and giggles so I just pretended to fall asleep immediately). He listened intently and seemed quite comforted to know that his Ima also had struggles. This attitude of not wanting our children to experience failure, disappointments, struggles, is so prevalent. It is addressed in a book called “The Blessings of a Skinned Knee”. sorry I forgot the author. We do them a disservice by solving all their problems. This is great. I was just struggling with this today. My daughter has developed a fear of everything. So she was riding her bike and suddenly she freaked out and screamed that there was a bug near her. I debate this all the time. Do I run and save her, make her feel loved? Or do I sit back and act all calm and tell her that it’s ok, and she should please just ride her bike over to me?